The son of a wealthy merchant in Canton, So Chan was born with a silver spoon in mouth. Smart, ambitious, and one step away from becoming the Emperor’s top Martial Arts Warrior, he was dragged into a conspiracy between two political powers in the imperial court. Losing everything, including his family, he survived thanks to a gang of beggars who saved his life. Seeking revenge with the help of the beggars, he learned that money and status cannot define a person. With integrity and a sense of justice, even a beggar can be a real hero. In order to defeat the person who framed him and caused pain and suffering to the people around him, he worked very hard to improve his martial arts. 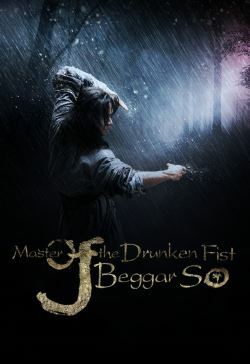 With the help of the beggar gang chief and his daughter, and a little bit of precious Chinese liquor, he finally grasped the full essence of the long lost Kung Fu style – the Drunken Fist. From a lost gilded youth to a proud and driven man, Beggar So can finally get revenge and find the love of his life.